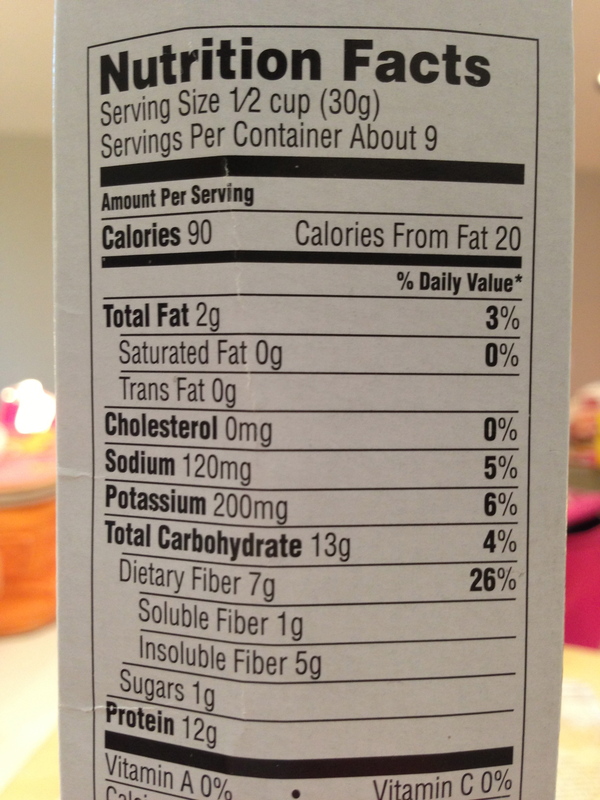 cereal for breakfast? | what is clara eating today? 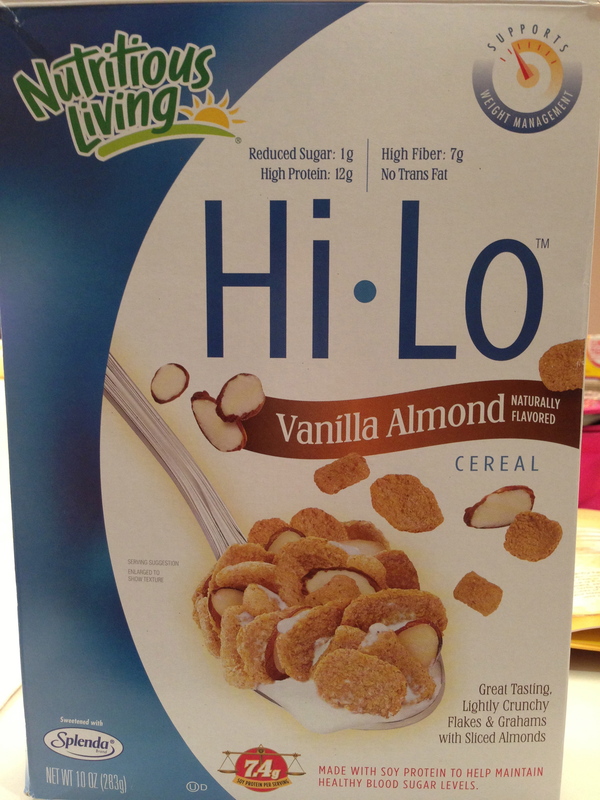 we have been trying this low carb cereal (Nutritious Living Hi.Lo Vanilla Almond Cereal) for clara and she loves them. 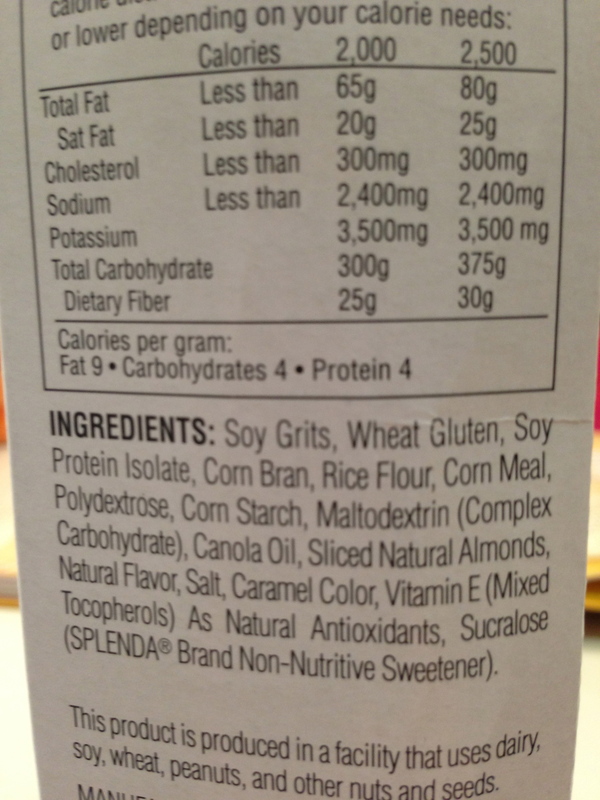 1/4cup of cereal has only 4g net carb! 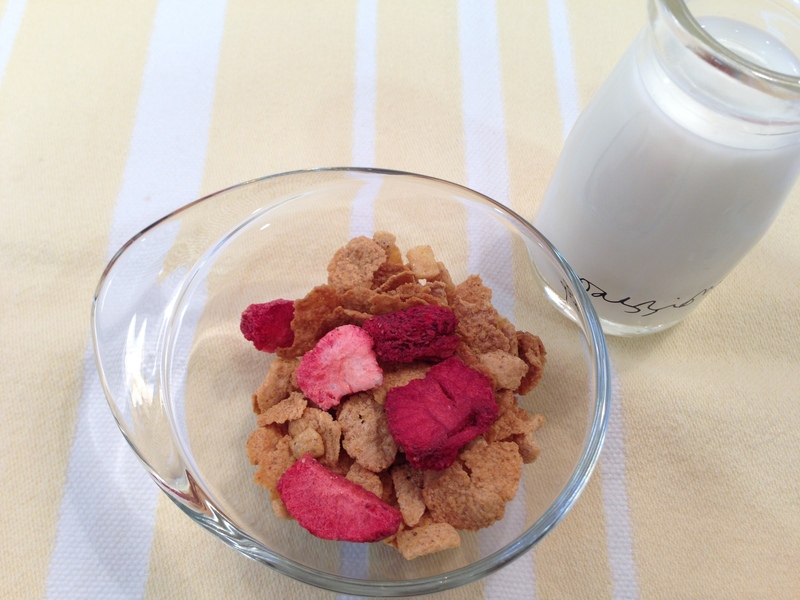 I serve with a few pieces of freeze dried strawberries or fresh berries.